The dreaded moment has come. The last few hours of Thanksgiving weekend are upon us. We have feasted, rampaged the mall, eaten leftovers, shopped some more, feasted again and waved goodbye to our friends and family. Now there are two things left on every one’s mind. A terrible case of the Mondays, and plausible ways of burning off your gut before Christmas. Unfortunately I do not have a solution for either. Instead, in the spirit of Thanksgiving, I would like to share a recipe that I am extremely thankful for. 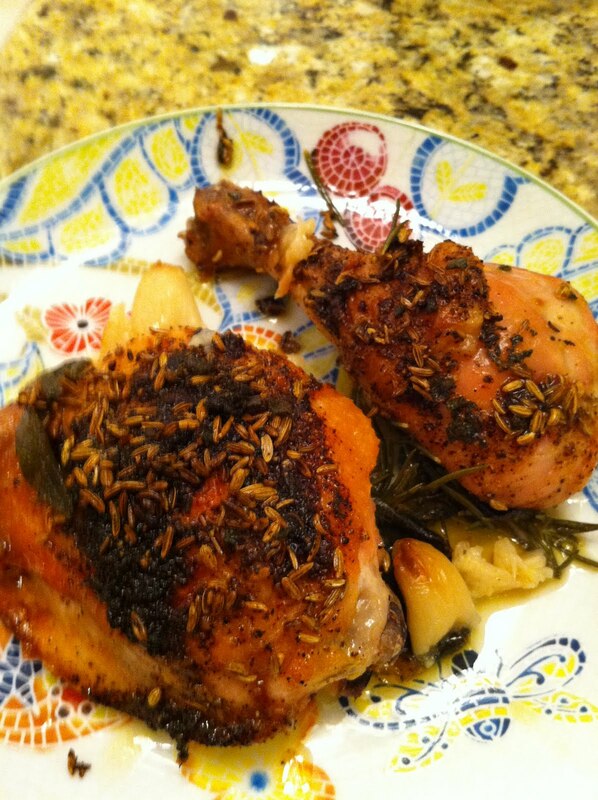 Alice Water’s Roasted Fennel Chicken. This is my favorite go-to Winter recipe. It is from the Chez Panisse Cookbook, is great for weeknight meals, and the flavor is out of this world. Every time I make it (about once a week) it comes out perfect! And its one of the easiest recipes I know! I love that I can come home from work, take 10 minutes to prep it and then go on a walk while it roasts in the oven for an hour. And every time I come back, Voila! Perfection! Alice Waters, this is a true gem. If using a whole chicken remove the giblets from the cavity. 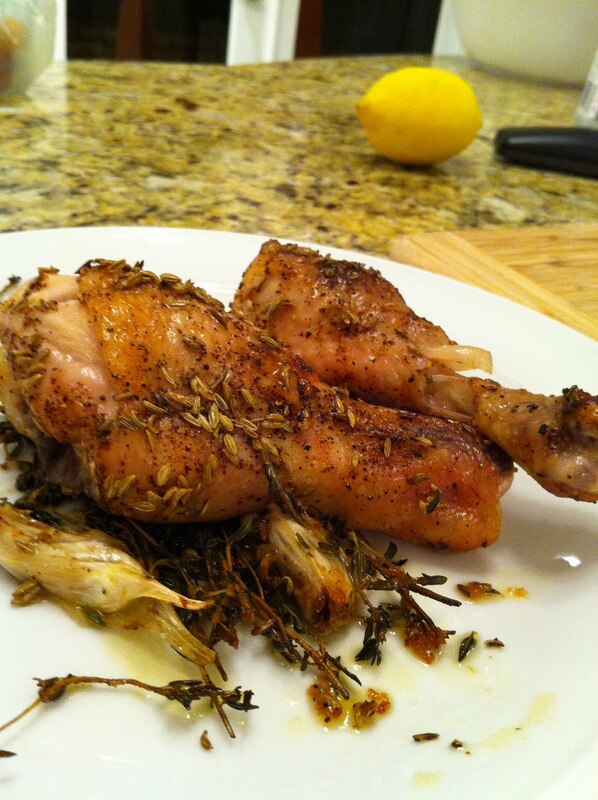 Place the chicken or chicken pieces on a bed of thyme in a roasting pan and cover with olive oil. Season the bird’s skin with salt and pepper. Be very generous with the salt, it will make a big difference. Then sprinkle a tablespoon of chili powder over the skin and then add 3 tablespoons of the fennel seeds. You should have enough chili powder and fennel seeds to coat the bird. Use chili flakes if you want to kick up the spice. Roast in the oven for about an hour uncovered on the middle rack. You will know it’s done when the chicken is golden brown and the juices run clear. Remove the chicken to a platter and cover with foil. Let is rest for 15 minutes so the juices go back into the bird then serve. TIP: If you love garlic as much as me try roasting a head of garlic separately and then adding it to the chicken dish when it is done.